We are writing a fair bit on PCI-DSS for travel agencies simply because there is a deadline looming for them in March 2018 to become PCI compliant. While one might surmise there is still plenty of time, on the contrary, even merchant PCI programs will take a few months, and since the end of the year is pretty busy time for traveling, it’s best to get everything in order before the January – March months roll in next year. 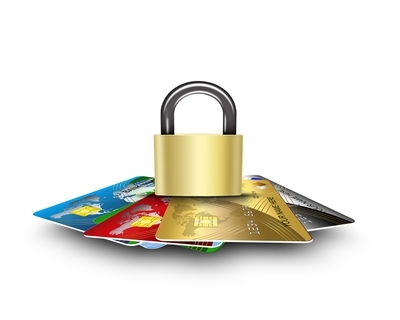 So far, we know that the travel agencies are uniquely dealing with their PCI program whereby they have PCI obligations to their acquirer where most of them have card terminals merchant accounts with, and also IATA where they accept card through the “BSP channel”. They are both separate channels, because the BSP channel is actually acceptance of card IN BEHALF of airlines, not part of the agency’s own merchant flow. So because of this, agencies have options to either fill in a full SAQ D-Mer and submit to acquiring banks and IATA, or to submit an SAQ B (or B-IP) to bank and SAQ C-VT (or C) to IATA. We are now looking into more details to the latter discussion – whether C or C-VT self assessment questionnaire should be filled. Now it doesn’t really go out of the way to say it, because for this channel, technically, as long as no card data is stored electronically, we need to look at the eligibility of SAQ C vs SAQ C-VT. First of all, SAQ C has 162 questions. SAQ C-VT has 81 questions. More notably, SAQ C-VT does not have obligations for ASV scans whereas SAQ C has. Also, as an introduction for SAQ C, this is mainly designed for restaurants, fast food, franchisees with integrated Point of Sales. You know, the one we see at Oldtown Kopitiam whereby the point of sales system is like a desktop computer that has a LAN connectivity. The SAQ C-VT is designed for very small businesses who needs to enter manually the credit card number to a Virtual Terminal that connects to the acquirer through a ‘web-browser based connectivity’. Now these terms are very important to note, as we go into more details. The question we have on the table is: Does your GDS channel qualify for SAQ C-VT? First of all, if you store card data electronically, you can stop reading. You need to do SAQ D-Mer. Go. You have 332 questions to go through and we suggest you start! If not, then the idea here is whether SAQ C or SAQ C-VT is correct for your GDS channel. Now, these are obviously our own opinions, and some other consultants/QSAs might have a different idea or take on it. We do not represent the industry or IATA or PCI SSC in defining this…as and until someone from these parties decides to make a definitive statement of which SAQ needs to be done, this is our suggestion on why SAQ C-VT could be the correct SAQ for the GDS channel. Now for A), the key here is “Internet Connected Web Browser”. The other part about ‘Your company’s ONLY payment processing is via a virtual payment terminal’ might mean that if you have any other channels such as internet of EDC (card terminals), you disqualify for this SAQ…but actually no, PCI-SSC states in their Article 1082 that as long as the channels are isolated from each other, you can go ahead and complete different sets of SAQ for different channels. Now to understand the GDS connectivity, a majority of agencies are using either Sabre, Travelport or Amadeus. Each one of these are supposedly PCI compliant (so item Bcan be checked), and each of these provide a client solution that installs in your desktop and connects back to their main server for information and input. Sabre has their Sabre Red Workspace, Amadeus have their Selling Platform and Travelport have their Galileo Desktop. Some GDS now also offers direct web browser connectivity so that there is no need to install additional client, but for this article, we will be looking at the client application residing in the agent’s desktop. This is key, because if this is considered a stand alone payment application, then SAQ C-VT cannot be fulfilled. It is this installation of additional client that some consultants have ventured to say that this is not a ‘web browser’, with web browser being what we know as Internet Explorer, Chrome, Safari, Firefox etc to name the popular ones. Without going into the history of web browser itself, the basic definition for the web browser is “a software that retrieves, present and traverse information resources on the internet”. These can also be used to access private web servers or private files in private servers. It is important to note that there must be a call to a web server, usually through encrypted transmissions and there is a dependency on information being posted/sent to this server and receiving a response. Basically, without internet connectivity (except if you have offline data), your web browser is basically non-functional. In this case, it does away with the term ‘web browser’ completely and just states Internet based Virtual terminal. a) Software must be dependent on the internet. If there is no connectivity, there is no usage. If the software can meet these requirements, then it can be considered an internet based virtual terminal. In order for us to really dig into this, we need to go down into the details: doing a packet capture. We will look into this in more detail in Part 2 immediately after this, which is a separate article, since this one is already way past its word limit already! This entry was posted in IATA, IATA PCI-DSS, IT Compliance, IT Security, PCI-DSS, PKF Avant Edge and tagged amadeus, galileo, gds, iata, PCI-DSS, sabre, saq, SAQ C-VT, travel agency, travelport by pkfavantedge. Bookmark the permalink.